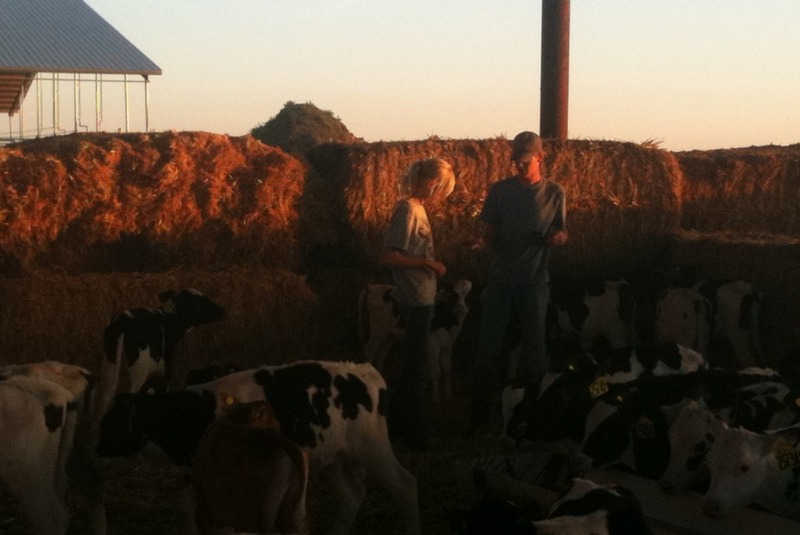 Well 2010 is officially over, and I leaned a few things blogging about dairy last year. The top posting indicate what people are interested in learning about. To be honest, I was a bit surprised to find out so many people were interested in learning if there is antibiotics in their milk. Before I wrote the posting, I just assumed it was common knowledge that there are no antibiotics in milk. A Boeing 747-400 passenger jet can hold 416 passengers. This blog was viewed about 3,900 times in 2010. That’s about 9 full 747s. In 2010, you wrote 28 new posts, not bad for the first year! You uploaded 166 pictures, taking up a total of 26mb. That’s about 3 pictures per week. Your busiest day of the year was July 12th with 152 views. The most popular post that day was Antibiotics in my Milk?. The following are Crazy Moo’s top postings of 2010! 1 – Antibiotics in my Milk? The top Crazy Moos posting of 2010 was Antibiotics in my Milk? This posting sought to explain how antibiotics are used on the dairy farm, how cows treated with antibiotics are separated from the rest of the herd, and that it is illegal for antibiotics to be in our milk. If we ship milk from our dairy farm that has traces of antibiotics, our farm is severely penalized. If it happens more than 3 times, our license to produce milk is taken away. 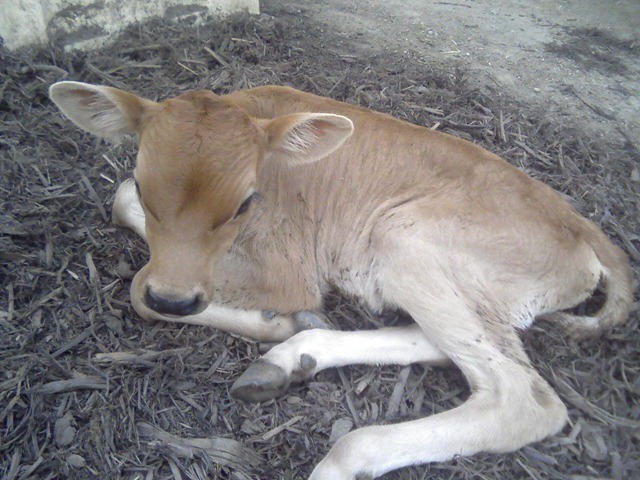 The next most popular posting was Baby Calf Care on the Dairy. 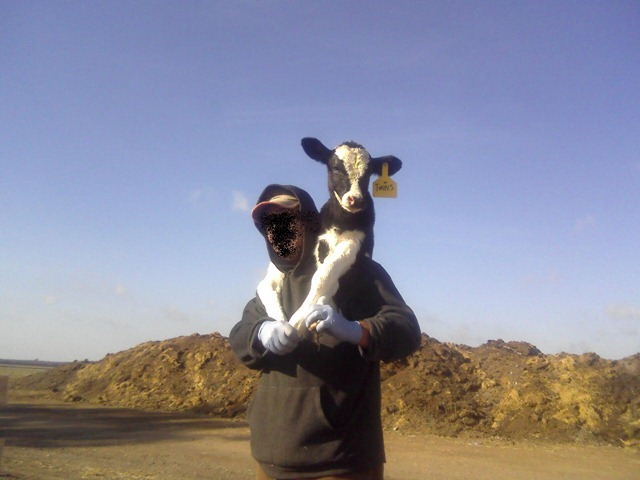 This posting sought to educate people about how we take care of the baby calves on the dairy farm. We treat these babies with the most care we can give because they are the farms future. 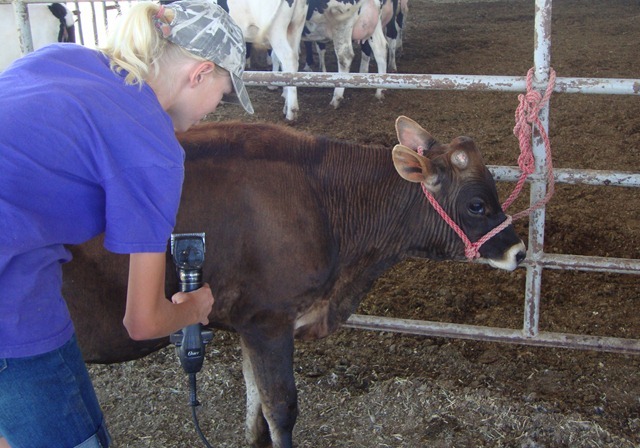 If you don’t treat calves well, your operation will not be successful in the long run. Along with some good information, this posting also provided an array of cute pictures. Go read it if you haven’t read it yet! 3 – Wubbzy, An Example Dairies Care! This was on of my first postings that became viral early on. Wow Wow Wubbzy, Wubbzy Wubbzy Wow Wow, the small calf with a horribly long name. This posting remained the top post for many months. After reading the posting, be sure to watch the YouTube clip of Wubbzy of the little guy eating. I only wish I captured more video when he was little! Now he is over a year old and much much bigger. Rebellious Wubbzy, Suppressor of the Dull Routine! These are some great reads, so go read them if you haven’t yet! 4 – The U.S. Dairy Industry: On a Mission to Feed the World! Global exports of dairy products are exploding! As developing countries grow wealthier, they begin demanding higher quality food sources. Dairy is one of the first food products countries demand noting it is a great source of protein, calcium, and other beneficial nutrients. So it really does make sense that countries are demanding dairy products. This makes it a great time to be in the dairy industry. The U.S. dairy industry is at the forefront of milk and dairy production. We know how to produce product. This growing demand overseas gives us the opportunity to feed a hungry world. This is what makes me optimistic about the dairy industry. 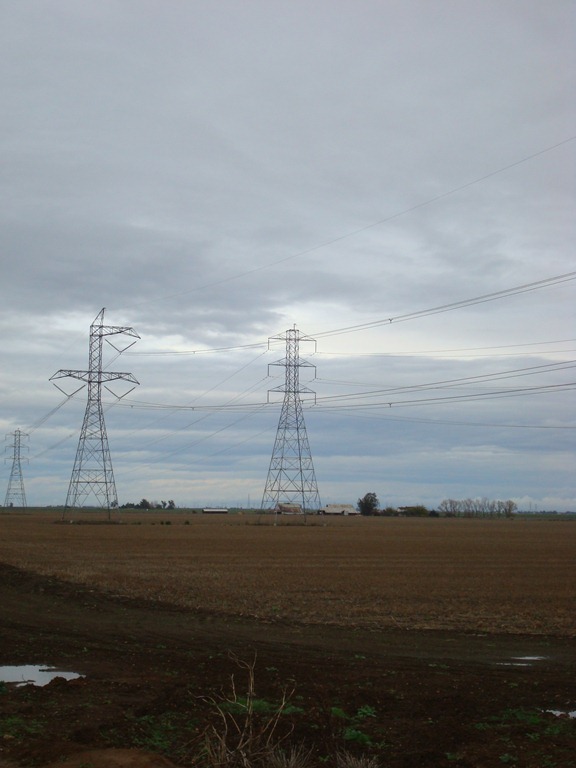 Read this blog to find out how the U.S. dairy industry is feeding the world! 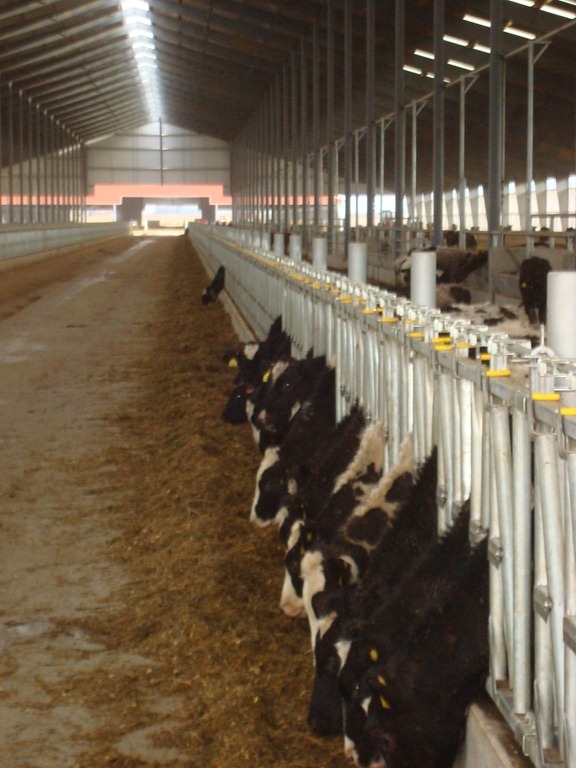 5 – Keeping Cows Comfortable is a Dairies Number 1 Priority! This was my first blog posting, and relates the incident that really spurred the creation of this blog. Dairymen take care of cows, and don’t want to harm them in any way. 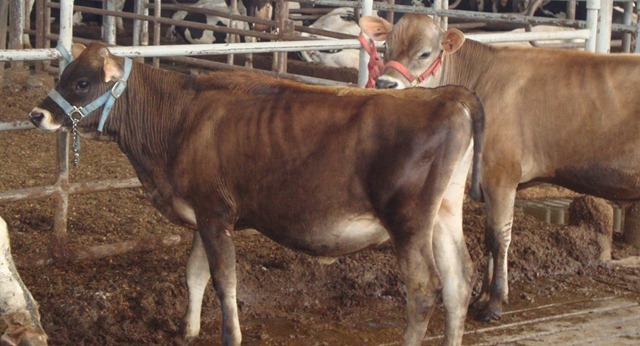 In fact, hurting cows is only detrimental to the financial health of the business. Comfortable cows give more milk than uncomfortable cows. It’s a proven fact! 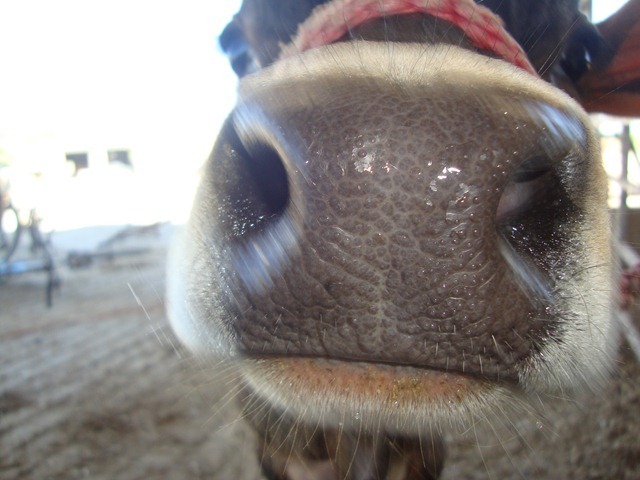 I hope you enjoyed the Crazy Moo postings of 2010, and hopefully 2011 will bring some great new posting so stay tuned! Christmas has come early for our baby calves. For awhile now, our family has been working on building some new structures on our new ranch to raise the baby calves more comfortably. We had grown out of our old facilities and needed a new place to raise the baby calves. We finally finished building the new facilities so we spent all last week moving heifers to the new ranch. It’s been pretty exciting! The new barns are state of the art, and I think the heifers will be quite comfortable in their new home. Depending on the weather conditions, the sides of the barns can roll up and down. 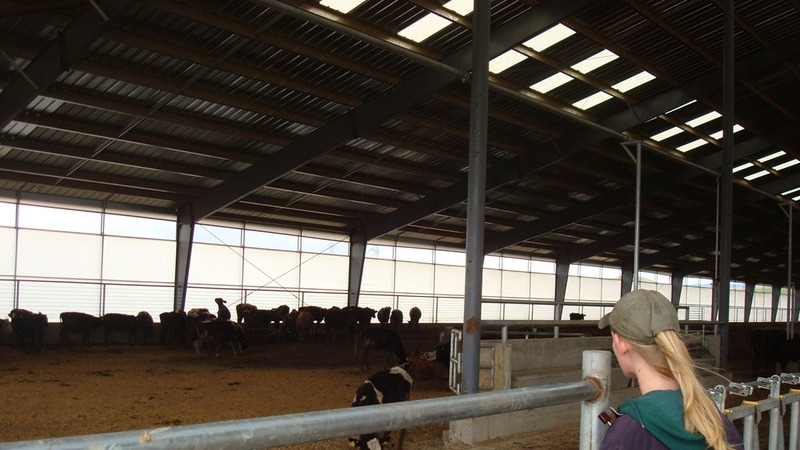 In the summer the sides will be raised up to promote airflow through the barn, while in much of the winter the sides will be lowered down to protect against wind and rain. 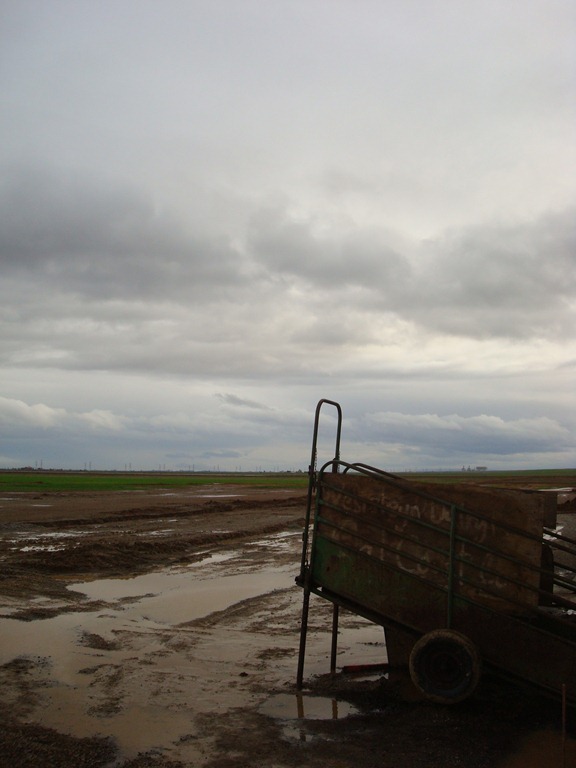 In Northern California where the ranch is located, the wind can blow very hard, so the rolling sides will definitely protect the young cows against the hash elements of winter. Inside the barns, the calves have a large area to run and play in. I’ll admit its pretty fun watching the heifers run to and fro inside the barns. In the barns, the heifers have free access to food and water. Water is freely available in the many water troughs that are located throughout the barn. 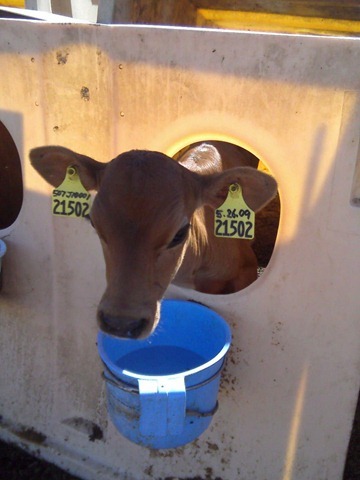 When they drink out of the troughs, the water valve opens according to the water level in order to re-fill the trough. 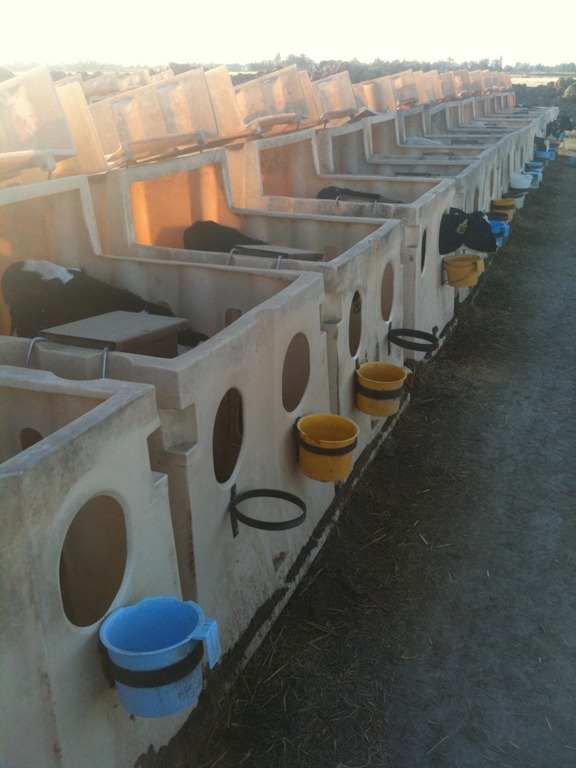 These water troughs are cleaned periodically to ensure a clean water supply for the calves. Food is also freely available. 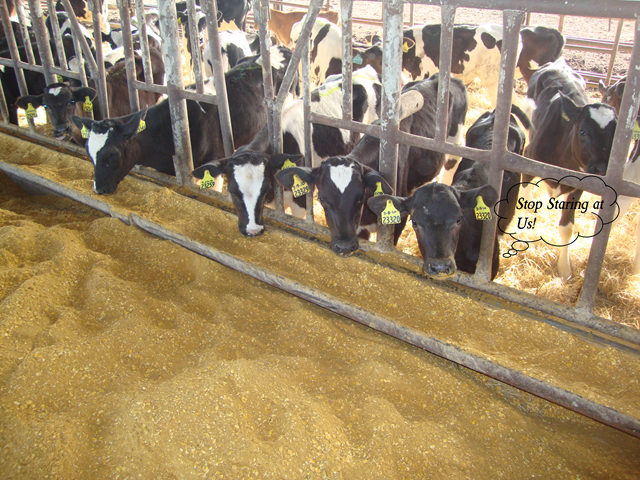 The heifers are fed corn silage along with a blend of other food stuffs. Corn silage is corn (the entire corn stalks) that have been chopped into fine pieces and fermented. Fermenting the corn silage is basically food preservation, and allows us to have feed available for the heifers year-round. The heifers really love eating the corn silage, and it’s always surprising to see how efficient they are at sorting their food to find the corn kernels. 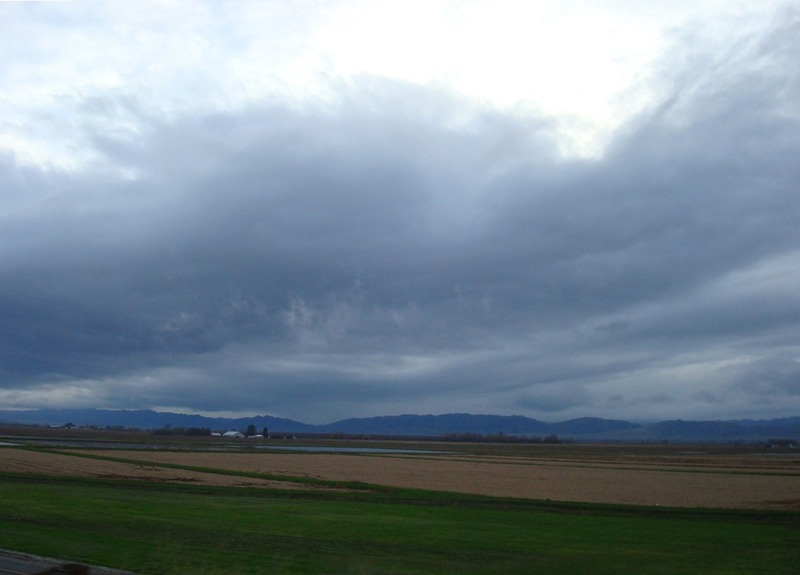 Northern California is a very scenic area in California, especially in the winter with the dark stormy skies and puffy clouds. 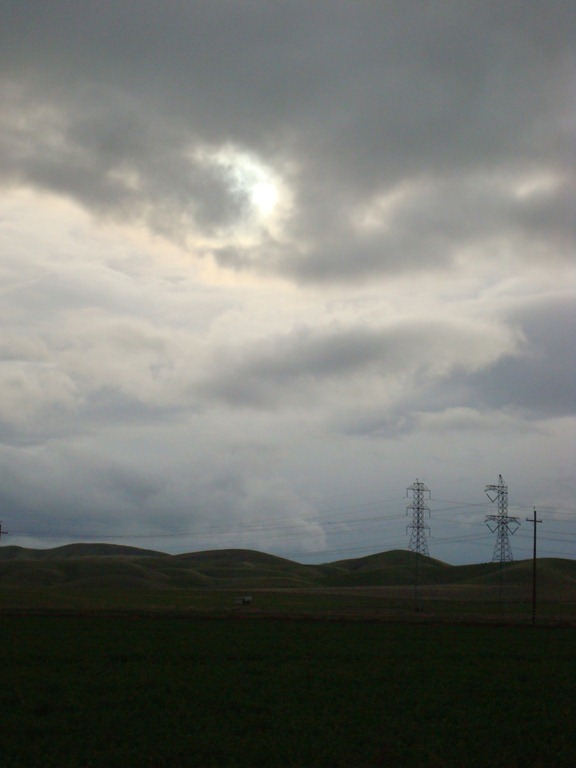 On our drive through NorCal, we took some pretty cool pictures, enjoy. This happened awhile ago, but I thought I would bring it to everyone’s attention. As we all know, Wow Wow Wubbzy Wubbzy Wubbzy Wow Wow the calf is quickly becoming increasingly popular, and is quickly rising to stardom. 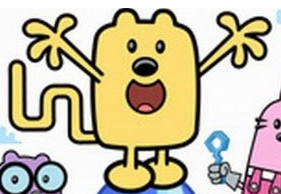 Wubbzy’s celebrity presence has easily converted a large following among the masses. And rightly so, I might add, noting he is probably the most charismatic calf you’ll ever meet. Wubbzy’s stardom is actually becoming so great that he attracted the attention of the actual creator of Wow Wow Wubbzy. Bob Boyle, the creator of Wow Wow Wubbzy, commented on the first blog posting about Wubbzy the calf. To be perfectly honest I was a bit skeptical at first to the authenticity of the claim until I clicked on his name which brought me to his blog. The blog of Bob Boyle is actually pretty cool, and the work that he does is inspiring. Browsing though his blog, you can tell that Mr. Boyle is no lazy cartoon creator; he actually visits schools and talks frequently with actual kids. Working with kids is very admirable, but helping them to be creative and inspiring them is even more admirable! The sheer randomness of Bob Boyle’s visit to Crazy Moos was pretty awesome so I thought I would point this out. It’s pretty cool! So Bob Boyle, if you do read this posting, know that you can visit our dairy anytime to meet Wubbzy (note though that he has grown quite a bit though so he’s not really that scrappy fella he used to be :). Just let me know when you’re in Northern California! Summer time means its time for the local county county fair. 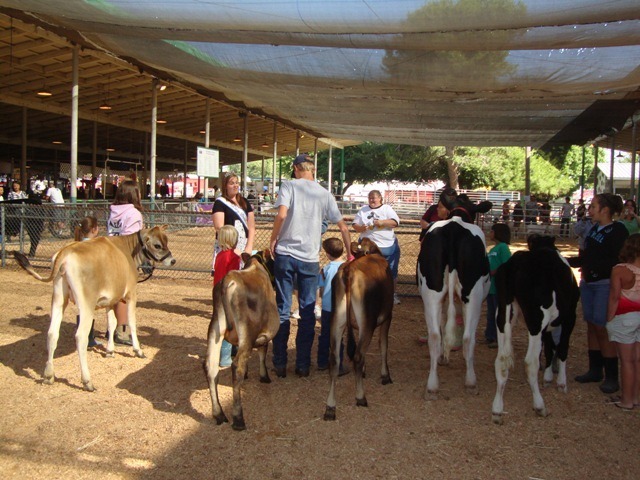 Every year, we bring a bunch of cows and calves to the local county fair. 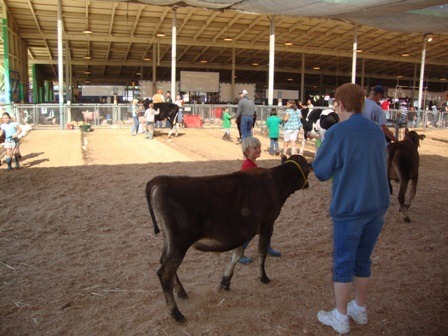 It gives the local public the opportunity to see cows in person, and we can answer all their dairy questions. But we don’t just go to the fair to relax, its strictly business. 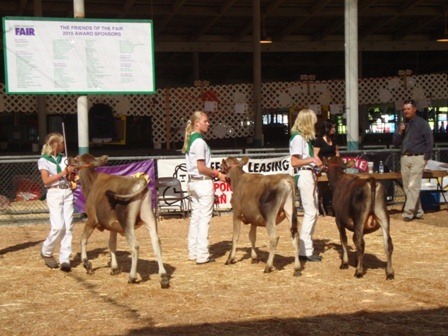 At the fair the cows and calves compete in a contest to see who is the best (its really like miss America, but for cows). Before the contest, a lot of work goes into getting the animals prepared. They have to learn to walk with the halter. My sisters have spent an exorbitant amount of time teaching the cows and calves how to walk. 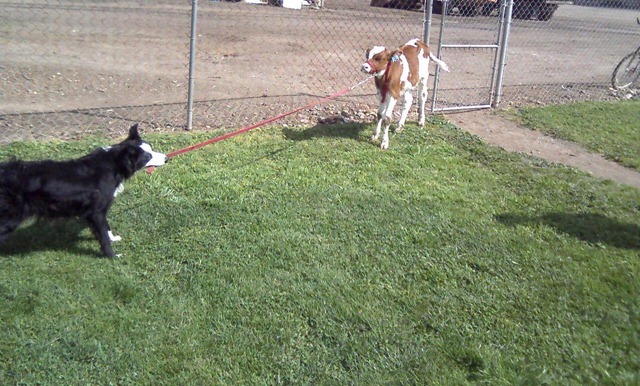 Sometimes however, our dog Ace wants to help train the calves too. The above picture is Ace at work training Red Rose. Since we are on the topic of calf care, i figured I’d share more about how the baby calves are treated on our dairy. The above picture i think is a good representation of how much we care for the calves. I can assure you that the above picture is not the angel of death, but one of our employees (he wanted to remain anonymous). He was carrying the baby to its new home. Calf care makes up a significant portion of the work on our dairy. We feed them milk and water twice a day, feed them grain, nurse sick ones, and periodically add fresh bedding to keep their houses warm and dry. Separating the babies may seem cruel to some people, but i can assure you, we have the calves best interest at heart. 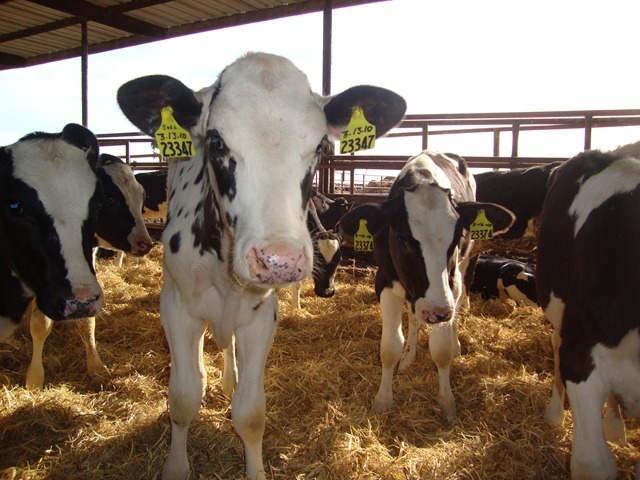 The calves are housed separately to create a warm, dry, healthy environment for the calf, and to ensure that it gets the best possible nutrition during its first weeks of life. Because calves have weak immune systems during their first weeks of life, it is critical that they develop and grow strong and healthy in their individual houses. 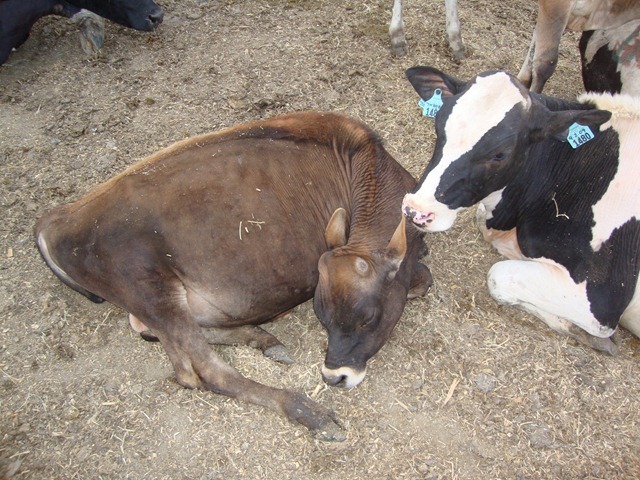 Calves that are left with their mother usually do not receive an adequate amount of colostrum. When we house them individually, we can help them get the right amount of colostrum and nutrition. Colostrum is the cows first milk after having her baby, and is rich in nutrients and antibodies to help strengthen the immune system. 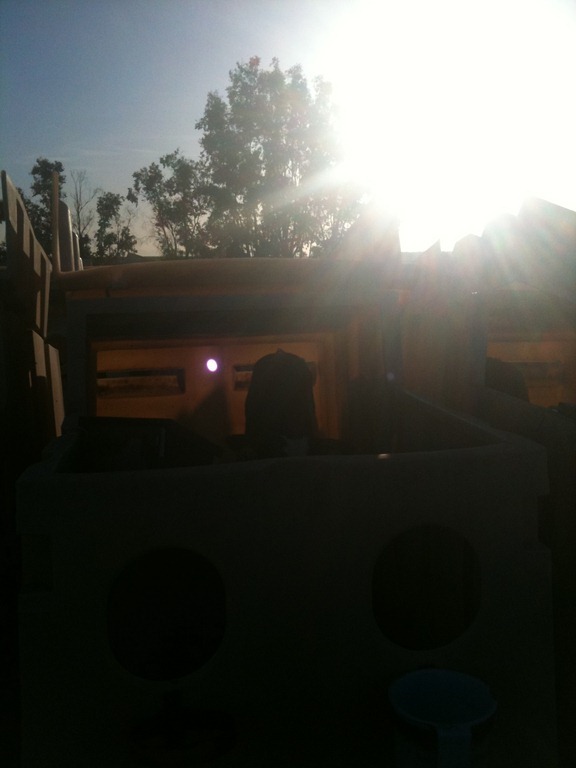 The following two pictures show the calves in their pens. 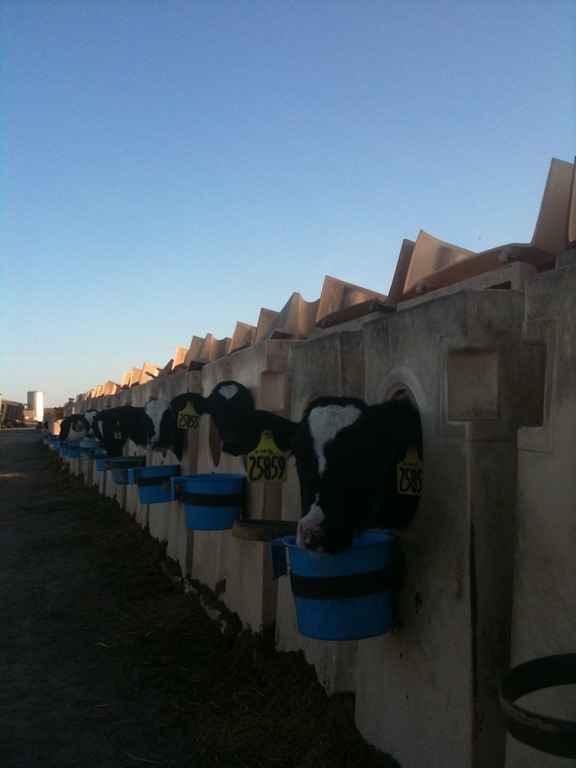 The calves after a few days learn how to drink freely from the bucket which is filled with milk two times per day. When there is no milk, we provide them with water so they can keep hydrated. The picture with the pens shows the long line of pens. 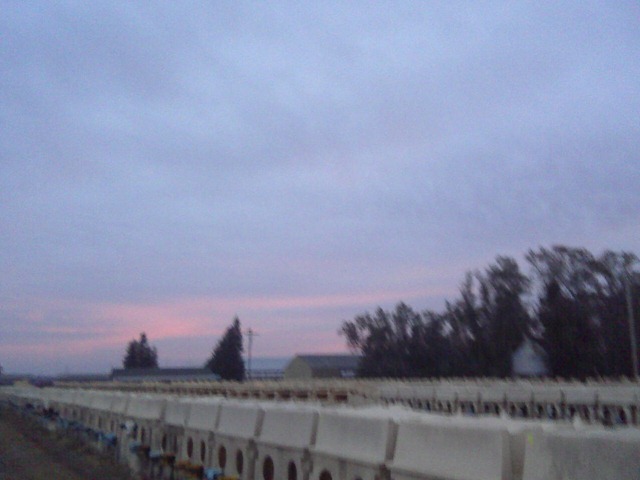 There are a lot of babies on our dairy! The picture of the pens was taken this winter when it was raining. The pens have roofs that flip down to protect the calves from the rain. 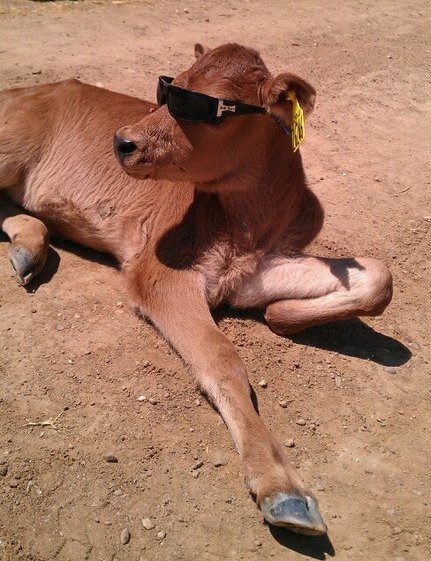 After the rain stops, we flip the roofs back up so the calves can soak in the warm California sunshine. 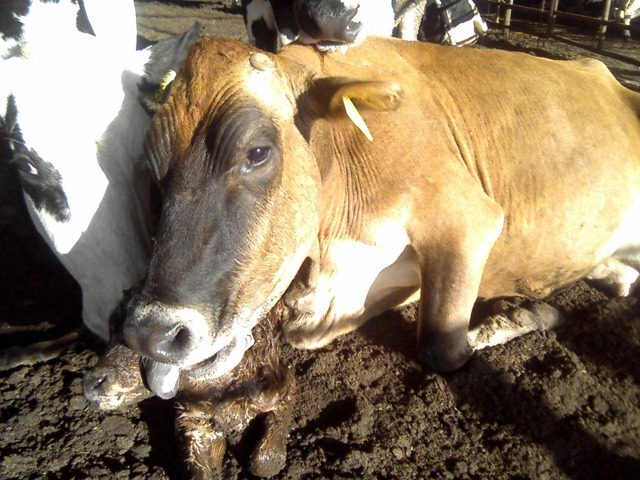 California sunshine is definitely one of the key ingredients to raising healthy happy cows. The environment we provide for them, aims to keep the stress low, the environment clean, and the food nutritious to develop the strongest calves possible. 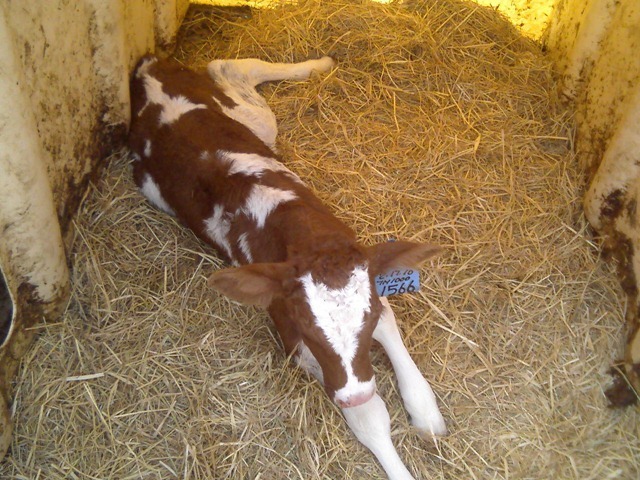 Sick calves develop much more slowly (read about Webbzy), its in our best interest to ensure they grow well! 4 of my sisters feed calves every day, and love taking care of the calves. They spend a lot of time with them giving them all names. I was going though my picture file and couldn’t find many Holstein calves (the black and white ones). It seems like they like the Jerseys the best (the brown ones) because those were the only pictures i could find!